Do you dream of having long, luxurious hair? Sick of having skinny lifeless hair? 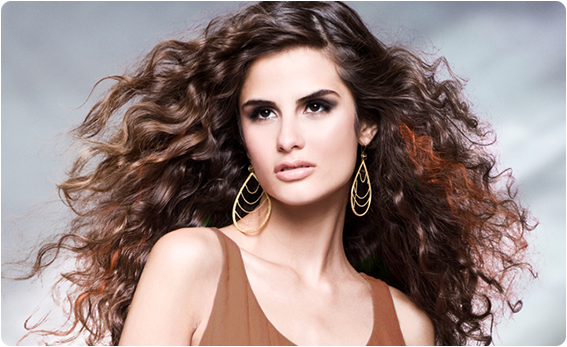 At Brava, you can have 100% virgin human remy hair - long, beautiful hair or lots of volume and thickness within hours. Short2Long is the newest, most innovative hair extension method available on the market. Finally, no glue, heat, wax or other bonding agents need to be applied to your hair. Short2long makes hair extensions easy and affordable. Add length, volume or highlights to your hair in a just a few hours. Cinderella Hair Extensions started with the idea that you could turn an ordinary head of hair into it’s own Cinderella story. Having the ambition and foresight, we try various types of adhesives before perfecting our own unique formula. We created an organic protein bond. We discovered the organic protein is the best bond that will not damage a person’s natural hair color or texture when applied or removed. We then traveled the world to find the most magnificent human hair to pair with our organic protein bond. After our tireless pursuit for the perfect human remy hair. Remy means all the hair cuticles are in the same direction, allowing the extensions to blend, and lay easily for natural looking hair: tangle-free, clean, and soft. 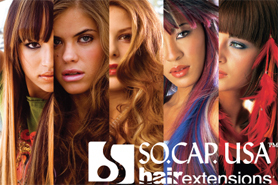 SO.CAP is a leader in the world market of producing natural and synthetic hair. Our continuous search to offer products of quality, innovation and competitive pricing has lead to the creation of an entire line of professional products. The SO.CAP woman, is urban, determined, chic and free spirited; wears what she likes, when she likes, mixing with style and personality the length, the volume and the emotions that the SO.CAP extensions can provoke. Babe hair is available in 19 colors and can be curled, flat-ironed, washed, conditioned, permed and even colored. Because the cuticle is not stripped and is left in-tact, Babe’s high quality REMY (cuticle correct) hair accomplishes the goal of helping men and women around the world gain the look they desire. From adding highlights to volume to length, all looks and styles for all walks of life can be accomplished by using Babe hair. Following application of your new hair extensions, it is crucial that a maintenance and follow-up schedule be developed. Remember, regardless of how natural and real your hair extensions look and feel, they must be properly cared for to ensure long-lasting beauty. Our Stylist will educate you on how to best care for your new hair between salon visits with recommended conditioners and hairstyling tools. Visit our salon at frequent intervals for touch-ups and upkeep consultations. Whatever your lifestyle, hair extensions are easy to maintain and last approximately three to six months if properly cared for. Prices vary depending on the results you are looking for (how much length, fullness, full head, partial head) and the type of hair you have. Clients must come in for a through consultation before being quoted a final price. For Protein Bond Extensions Brava Hair Studio charges $1,400 and up for a full head of length and $1,000 for thickness only. For Eye Loop Extensions Brava Hair Studio charges $1,100 and up for a full head of length and $800 for thickness only. After consultation and before making your reservation for your extensions you must pay for the hair. The hair may not be returned and this payment is non-refundable.